The explosion of dental implants in recent years has had a profound impact in dentistry. More than 30 million Americans are missing teeth and could benefit from implants and yet only 10% of all US dentists are placing them. This rapidly evolving field can be intimidating to dentists who weren’t formally trained in placing implants. However, most dentists already possess the surgical skills necessary for basic implant placement. This course is designed to show that placing and restoring dental implants can be simple procedures that any dentist can perform in their office. It will explore techniques from the most basic single tooth implant placement and restoration all the way to complex full arch rehabilitation. Particularly, it will show how to carry out these treatments in an efficient and cost effective manner. Dr. Glenn attended dental school at the University of Tennessee Health Science Center. 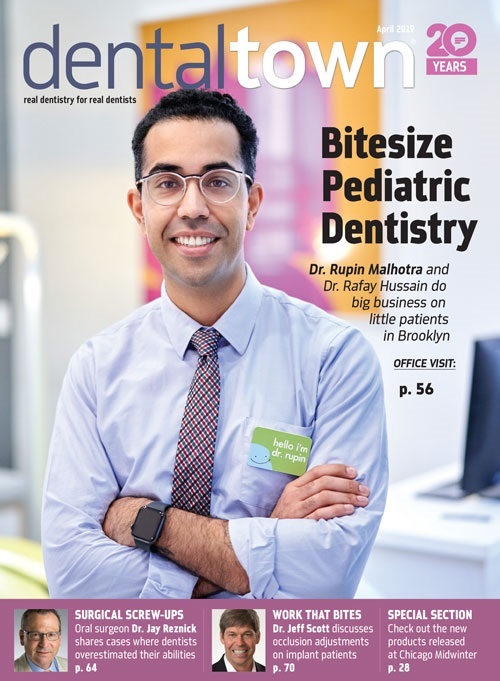 Following graduation in 2008, he went on to do an additional Advanced Education in General Dentistry residency with a focus on comprehensive care and dental implants. He lectures frequently across the world on the topics of CAD/CAM, cone beam technology and guided dental implants, dental photography, digital smile design, complete dentures and complex full-mouth rehabilitation. 3 people would recommend this course to a friend. I have taken a bunch of implant CE lately. This one took the cake. It was only just over an hour long and I didn&apos;t have to travel anywhere. Power packed with no advertisements. Super practical and applicable info. Worth the $36. Do it! Really good stuff. Very practical, and some great advice on avoiding some complications that I probably would never have thought of.